Increasingly, transportation and logistics firms need employees with training in the latest trends and technology. 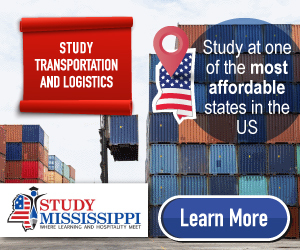 An Undergraduate Degree in Transportation and Logistics a Masters in Supply Chain Management, or a Degree in Operations Management will help you acquire all of the skills these top companies are looking for. As with engineering positions, however, many companies want to see that a potential logistics employee can thrive in a real-world work environment. Companies need to feel secure that their investment in a new-hire will pay dividends. Without a doubt, the best way to attain this real-world experience is through an internship. Experience—Formal education can, over a short period of time, teach concepts that may take years to learn in the workforce. The only way to get a good feel for the day-in, day-out responsibilities of a position, however, is to experience them yourself. An internship shows what your day might look like, hour-to-hour, even minute-to-minute. You can learn how to manage your time, and which aspects of the job are more important than others. You’ll also get to work with other logistics professionals, collaborating to implement a plan. Perhaps most importantly, you’ll get a chance to apply everything that you’ve learned to real situations with real results. For instance, the warehouse where you work might have to deal with variables your textbook doesn’t cover, or the market for one of your company’s raw materials might experience a crisis. An internship is not only a chance for potential employers to get a clear look at the possible relationship, it’s a great chance for you to decide if a particular position is right for you. If it’s not, remember that many logistics skills cross over to other departments and one of them is bound to be a better fit. Resume—an internship on your resume, especially if your employer or your performance are well-regarded, can be a great boost to your employment opportunities. The more you fill your resume, the more impressive your candidacy will appear. However, having something to show off is not the only reason to desire an internship on your resume. A resume puts the experience in quantifiable terms that are so key to your personal performance. Companies will be able to see in proven terms, bulleted in black and white, which skills you have and what you have done with them. Job Lead—in the end, internships are all about future employment. Students usually apply for logistics internships the two summers prior to graduation; and while an internship is no guarantee of a full-time position, many companies offer jobs to their most impressive interns. Even if you walk away without a job offer from your employer, you may make useful industry connections and some other employers may be impressed enough to offer you a job. College Job Fairs—one of the best places for logistics students to find internships is at a college job fair for engineering majors. Most universities and colleges will have a certain day (or sometimes an entire week) each year when they welcome recruiters on to campus. Students get a chance to speak with actual representatives from each company and not only sell themselves, but find out what each company is about. It is a great opportunity to show off your resume and, if you impress a recruiter, even set up an interview. Industry Postings on Career Sites—online databases of job-listings are the professional equivalents of a digital job-fair. Companies often post internships, as well as full-time positions, online at sites like these to reach a wider talent-pool. It is also convenient for job-seekers, since many openings can be applied for through a centralized system. Individual Company Postings—some of the bigger companies also post job openings on their own websites under “Career Opportunities,” or will skip the online databases altogether. Applying directly to a company offers the advantage of avoiding with a middle-man, some of whom seek compensation for their help. Additionally, spending some time on the company’s official site will increase your familiarity with their culture and expectations, generating great topics for your interview.